Corfu is the second largest island of the Ionian Sea, located at the north west coast of Greece. The island’s history goes back to the beginnings of Greek Mythology, where it is mentioned as “Korkyra” and its inhabitants were known as Phaiakes, in Latin Phaeaciani. Corfu’s nickname is The island of the Phaeacians. Corfu was one of the first places in Greece that noted touristic development. In 2007, the city’s old quarter was added to the UNESCO World Heritage List and nowadays it is one of the most popular tourist destinations across Europe. Aegean Airlines, the national flight operator of Greece, flies to Corfu from Eleftherios Venizelos Int. Airport of Athens, and from Thessaloniki International Airport (SKG). Astra Airlines, also offers flights to Corfu from Thessaloniki. Connection with the Port of Igoumenitsa: direct connection with Igoumenitsa’s Port is available in a daily basis, all year around. Connection with Italy (Brindisi-Bari-Ancona-Venice): depending on season various itineraries are available, offering connection with Corfu directly or through Igoumenitsa’s Port. Visitors that would like to drive to Corfu from the north (Albania, FYROM, Bulgaria, Roumania, Serbia, Croatia, Slovenia, Hungary, Czech Republic etc. ), after entering Greece, should follow the Egnatia Odos towards Igoumenitsa. 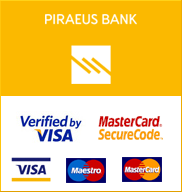 Get Your Corfu City Pass!